Did you know you can now order your Deliveroo takeaway from The Crooked Well here on View? 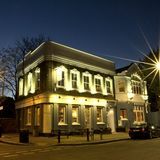 "The Crooked Well is a critically acclaimed Gastropub offering British & European classics with a handpicked wine list, artisan cocktails and a rotating selection of craft beers. A typical menu may include squid ink risotto, guinea fowl breast and Sunday roast lunches. 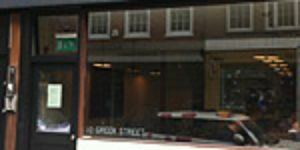 An Express Lunch Guarantee in the week and The Bottomless Prosecco Brunch on Saturdays are proving very popular for this neighbourhood gem." By sending this booking your details will only be sent to The Crooked Well and will never be shared with other third parties. By clicking this box you agree to the Terms and Conditions set out above. You can book to reserve an area of The Crooked Well for you and your friends. Just enter your requirements below to see what they have to offer. Dining outside is on a first-come-first-served basis, and seats up to 40. Michelin 2013/2014/2015: Pub serving good food. What did you think of The Crooked Well? I just popped into the crooked well for a well earned cheeky drink after work, the prices were reasonable so i shall be coming back. I was visiting a friend who lives in Camberwell when we decided to visit the Crooked Well for a few drinks. I absolutely love what they have done with the place and this is great for the location! we didn't dine but all of the food coming out looked fantastic and I will be back sharpish. Well for me The Crooked Well is a refreshing change for Camberwell. It is a lovely large, open space where there is plenty of space to sit down or find a surface to rest your pint on! The food all looks delicious too and this certainly is a modern gastro pub. All round British food at The Crooked Well, all good beautifully as well shall definitely return here. I came here one random night and there was so music event going on and it made the atmosphere of the crooked well buzzing. i shall return. My cousin lives in Camberwell and so suggested The Crooked Well. So excited for plenty more Sunday lunches there come the winter now that I've discovered this place. Wow can't believe I have only just discovered this place! One of my friends recommended The Crooked Well to be as a really decent place to grab a meal or a drink and they weren't wrong. Really lovely surroundings, a thoroughly lovely evening was had. The Crooked Well describes itself as a Gastro Pub and although I think that the term is all too often used loosely -in this case it’s spot on. Put aside the fact that they are recommended in the Michelin Good Food Guide and displaying a Tripadvisor award for excellence in 2013 proudly on their website, the food is excellent, the atmosphere superb and the service outstanding. The service was alright at the Crooked Well, i came one evening when there was an event on, i had to wait for a bit to get a drink but other than that it was a good evening here. I had some real gorgeous food one lunch time at The Crooked Well, the service was efficient and the food amazing. I had a lovely traditional Sunday roast in The Crooked Well, my plate was piled high and i devoured the lot, it was amazing. The food at the Crooked Well was cooked accordingly and the service was on top form. All round good experience. The Crooked Well has to do the best Sunday Roast I've ever tried in London. Really lovely, especially when they have some music playing too - the jazz bands are... nice. I had a lovely meal at the crooked well a couple of weeks ago with my family, it was a lovely atmosphere and could fault the food. The Crooked well is a cheeky lil pub i found camberwell and the food was top notch, shall defo be returning. I've spent many an evening (and night) in Camberwell, and we'd usually visit the Crooked Well at some point. And if we didn't we'd head there for lunch the next day - not bad food at all, even if the prices have gone up. Have been for a few drinks here in the past but never had a sit down meal. Gonna try after reading the reviews on here, definitely think I'm missing out! Crisp halloumi with pear and walnut salad? Yes please! The Crooked Well serves some proper slap up dished worthy of an upmarket London restaurant. Highly recommended. looks like your regular pub from the outside but I assure you that's not the case once you've been here. I've been to The Crooked Well quite a few times over the last few months since discovering it at the beginning of summer and have honestly enjoyed every time I have spent an evening here. The staff are always lovely and the food is pretty special too. The Sunday roast chicken is great and comes with all the homely trimmings too. Always enjoy spending an evening in The Crooked Well :) really nice pub that is great for a few quiet drinks. Really nice pub for a few relaxing drinks or a meal in, I have been a loyal fan of The Crooked Well for the past year or so. Service is always spot on and the pub itself is really cosy like a home away from home. Not only is The Crooked Well a really nice pub but the food is also actually really rather nice! Came for a meal and a few drinks last night and was really pleasantly with how lovely everything was. The pork belly and pickled apple was truly exceptional! came for lunch at The Crooked Well and took advantage of the two courses for £10 deal (which is a really good idea btw). I had the salt and pepper squid followed by the bok choy with poached eggs, was really tasty and super value! Always really enjoy drinking in The Crooked Well. Come in once or twice a week and the bar staff are always so welcoming and really chatty. Definitely one of my favourite pubs in the Camberwell area. i dont go into Camberwell very often but when i do i nearly always pop into the Crooked Well. Such a nice pub with friendly staff, the food is always cooked really well and the Sunday roasts are just excellent. The crooked Well is well worth the trip into Camberwell. 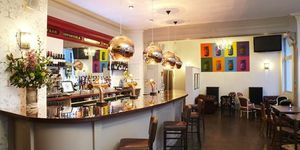 This modern pub is furnished really nicely and I love having a meal in the boutique style restaurant. The grub is also tip top too and you should definitely make room for a dessert! A lovely place to eat out, and they have fantastic jazz nights that I always try to catch. The eating area has a really warm atmosphere, really welcoming and friendly with wonderfully tasty food. But just having drinks at the bar makes for a good night too and many times have I been here and just had a pint with some mates after a long day at work. Great place to unwind. Even when busy, it never seems to cramp my style! The Crooked Well is an absolute revelation! The first thing that will strike you when you walk in, is the gorgeous decor - it has the right balance of quirky, boutique and also homely. Next you'll notice the impeccable service. Right from the minute you enter the Crooked Well, the staff who are headed by a seriously experienced and knowledgeable set are so friendly and helpful. Last time I went in for a few cocktails with my boyfriend and a friend (great to have the option to have great cocktails in this area)and we were happy to stand/sit at the lovely bar for a little bit, where we had some delicious salted slightly spiced nuts and our cocktails - an Old Fashioned a Bloody Mary and a Hendricks G&T all superb. While we were happy to stay at the bar, the front of house manager (I can only assume) came over and told us some people were leaving and that we could go and have a seat which was great and really attentive. I have been for dinner on a few occasions and also Sunday lunch. I can seriously say that the food is fab...and I mean really, really great. We are passionate about food and regularly go to great restaurants, but the Crooked Well is consistent and the staff genuinely care and know a huge amount about what they're serving. Yes, ok, maybe it is a touch more expensive than some of the surrounding pubs and restaurants but I happen to think it is particularly good value. Book for Sunday lunch to avoid disappointment, but I couldn't recommend this place highly enough - it is a real gem. Opened by a small group of friends who’ve long been in the hospitality trade – each with their own skill to bring to the table, be that experienced bartender or talented chef – every detail at The Crooked Well has been considered. A short walk along the tranquil Grove Lane, less than ten minutes from Denmark Hill station, you’ll spot The Crooked Well’s sign through leafy trees as you come across its unimposing exterior. Painted deep blue to a halfway point up its walls and with brickwork above, the pub looks inviting and well groomed. 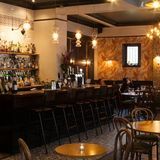 Walk through the doors and the sleek look continues: the bar lies directly ahead, with an attractive display of bottles organised by spirit and a row of low-backed stools tilted towards you – just try not to pull up a chair. A blocky, rustic-looking high-top table and stools lie to the left, with comfier seating further to the side of the room in the form of relaxing armchairs basking in natural light. 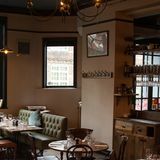 To the right of the bar is the restaurant – but don’t think uniform lines of tables and chairs: here you’ll find a stylish mix and match making up the dining area, with more comfy armchairs, bench-style seating to one side and a Chesterfield sofa to the other. What looks as though it was once a fireplace is filled with candles; the back wall is covered with art-deco style wallpaper; and lighting is elegant, helping to set the mood. In such a beautiful venue, it would be almost impossible not to leave the daily grind well and truly outside the front door. Staff are professional but friendly – they know everything there is to know about the menu, so ask away. Plenty of natural light gives the place a feeling of space, while the decor keeps things cosy. The restaurant is arranged so that even when it’s full, you’ll never feel closed in. With more seductive light in the evenings and an increasing number of loyal guests, both drinking and dining, the atmosphere is buzzing with and friendly, and you will be reluctant to leave. If you’re after just a nibble with your drink, the bar staff are proud to proffer homemade pork scratchings and spiced cashews, but the full menu is not to be missed. The impressive list is succinct without lacking choice, offering a select list of starters, mains and desserts that focus on honest ingredients and bags of flavour. To start, smoked salmon, pickled cucumber, rye bread and quail’s egg (£7.90) is a generous helping and a perfect palate cleanser to begin your meal. Red and golden beetroot, goat’s curd, toasted pumpkin seed and balsamic (£5.85) is served with fresh leaves and is so fulfilling it’s hard to believe it’s just a simple salad – it is absolutely delicious. Mains feature fresh fish and rustic game dishes, as well as pub classics like the chargrilled rib-eye steak, slow roasted tomato and cafe de Paris butter (£15.90). If you’re a seafood lover, try the smoked haddock brandade, crisp monkfish cheeks, lemon and radish (£14.20) – a mouthwatering mix of tender haddock and creamy potato, with succulent monkfish encased in a light and crispy coating; it’s a stunner of a dish. Confit duck leg, chorizo chick peas, butter beans and tomato with saffron aioli (£14.90) is another knockout meal, full of hearty flavour, and specials are often a showcase of the chef’s talents, so look out for those. There are also a couple of dishes for two people to share, including rabbit and bacon pie (£22.50) – great with a couple of sides, such as Chantenay carrots and seasonal greens, all £3 each. Puddings include the impossible to resist treacle tart with orange mascarpone (£5.50) and, for two, a hot chocolate pudding, salted caramel ice cream and clotted cream (£11) – indulgent perfection. For a wind-down drink, the bar won’t disappoint. Pints start from £3.60 and bottles from £3.50, with Guinness, Amstel, Kronenbourg, Peroni and more on offer. 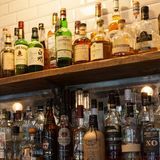 Spirits range from popular names like Gordon’s and Jack Daniel’s to more boutique brands such as Sipsmith and Chase. The wines are great for simply sipping, or to match up to your meal, with 125ml glasses starting from £2.80, 250ml glasses from £5.40 and bottles from £14.50. If you just want a couple, carafes are on offer from just £9.70. There’s also a weekly cocktail club night (Thursdays) that runs on a theme – think ‘last kiss of summer’ or focusing on a particular spirit – where you can buy two cocktails from the themed menu and get one free. And these cocktails aren’t full of juice and mediocre spirits, they are expertly made and compare favourably against some of best bars in town. 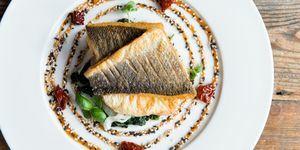 Outstanding food and a great range of drinks to match, all served in a beautiful setting: the residents of Grove Lane have a local that they can be very proud of – and people from further afield should certainly treat themselves to a visit, too.